KARACHI: A fire broke out at a major shopping centre located in the Karachi’s Clifton neighbourhood late Friday evening. Firefighters, however, put out the blazes. No casualty was reported in the incident. 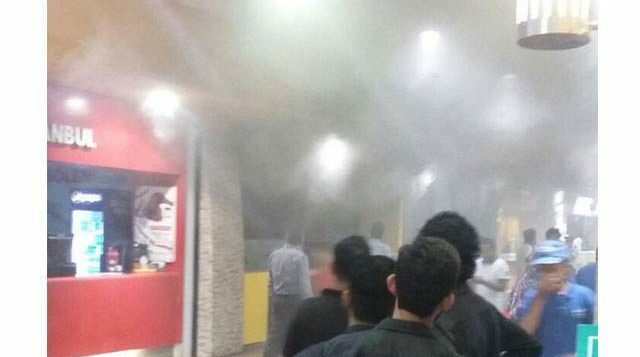 Initially, social media reports suggested the fire erupted at the food court on third floor of the Dolmen Mall in Clifton. 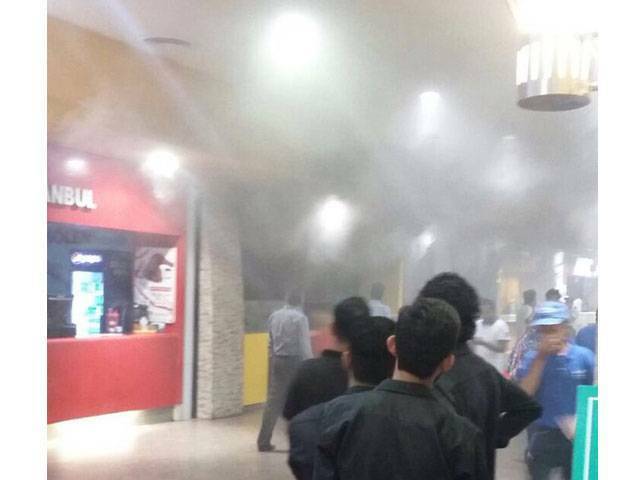 However, Clifton DSP Tariq Nawaz said the fire broke out at one of the generator rooms of the mall. Meanwhile, according to the mall’s Twitter account, there had been a small fire in the kitchen which was exhausted. People were evacuated while those who suffered from suffocation were shifted to nearby hospitals. There had been a small fire in a kitchen at @DolmenMalls which has been exhausted.Everything is under control & we’ll be operational soon! Last month, two separate fires in commercial areas of the twin cities damaged a jewellery shop and an under-construction plaza, causing losses estimated at Rs 670,000. The cause of fire was later found to be gas leakage. Similarly, on March 23, fire erupted near Korangi Express in Karachi with heavy smoke seen kilometers away.